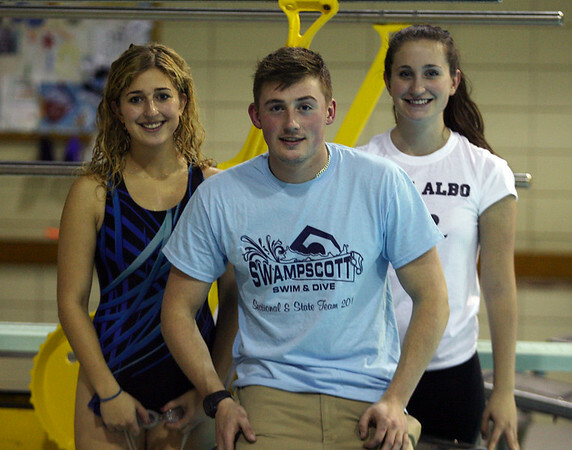 New Swampscott Swimming head coach Chris Havens, center, will rely on senior captains Lizzie Strager, left, and Juliette Albo, right, to provide veteran leadership for the Big Blue during the 2014-2015 season. DAVID LE/Staff photo. 12/16/14.